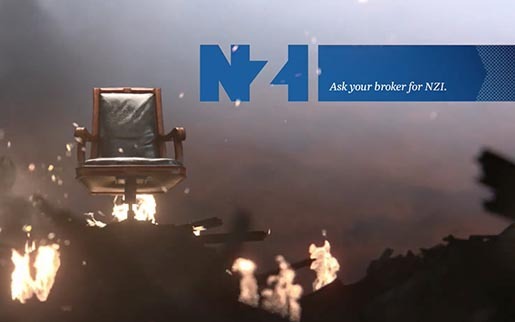 New Zealand insurance company NZI has launched “Devil’s Chair”, an animated television commercial aimed at the business insurance market. Set in a typical New Zealand port town, the ad tells the story of businesses in Port Avon experiencing the unexpected in extremely unlucky scenarios centred on an antique chair on wheels. The end line: “Bad’s not going anywhere. Neither are we”. The visual world from the TV spot will be translated into other campaign assets such as digital, print, direct and ambient. 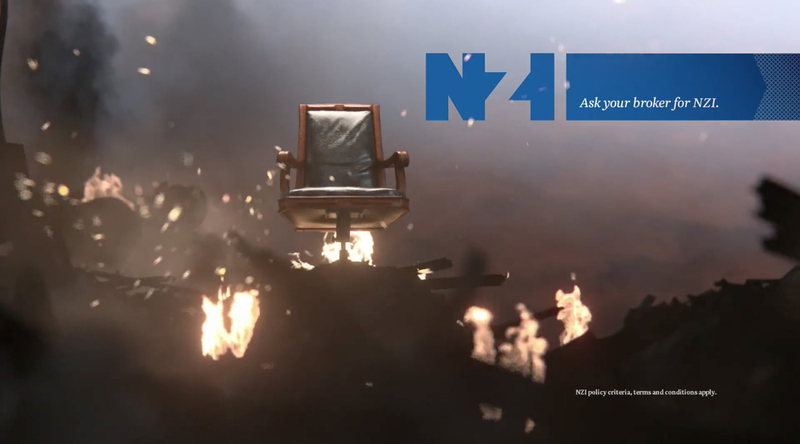 The Devil’s Chair campaign was developed at FCB New Zealand by Asia Pacific executive creative director James Mok, executive creative directors Tony Clewett and Regan Grafton, senior creative Kelly Lovelock, senior copywriter Hywel James, head of content Pip Mayne, group account director Toby Sellers, account director Michelle Koome, planning director David Thomason, senior planner Hilary Dobson, working with NZI marketing and communications manager Donna Williams, brand and communications manager Amanda Watts, and executive general manager Karl Armstrong. Animation was produced at Assembly by director/animator Damon Duncan, technical director/animator Rhys Dippie, producer Amanda Chambers, 3D animation team Craig Speakman, Geoff Kirk-Smith, Josh Fourt-Wells, Gary Sullivan, Alex Scollay, Mark Williams, Joe Helmore, Craig Baxter, Pritish Dogra, Jonathan Hamer, Amber Kell, Patrick Blades, Eugene Tay, Kyle Dey and Josh Kell. Music, “The Good, the Bad and the Ugly” by composer Ennio Morricone, was licensed through Franklin Road Rocks by Jonathan Hughes. Music was arranged at Liquid Studios by composer Peter Van Der Fluit, producer Tamara O’Neill and engineer Brendon Morrow. Media was handled at SpaceStation by Amanda Cater.